I am pleased to announce the release of my first tool in a series of resources to assist employers develop and retain new immigrant employees. The step=by-step exercises and processes will enhance your own coaching skills while empowering employees with vital information in a culturally relevant way. I am sharing some of my coaching secrets and style which has resulted in many new immigrants enhancing their skills and employers retaining talent. You can preview the toolkit below. It is 31 pages in length and offers a 20-minute consultation with each purchase. Buy it today and, begin having more productive meetings by developing your own and your employee’s skills. Feedback has been excellent! Includes several handouts such as business idioms; checklist for inclusive meetings; coaching pre-assessments, low-risk no-stress ways to participate in meetings and more. A 31-page toolkit which includes a 20 minute telephone consultation for each book sold. This is an important and timely book for those who want more inclusive workplaces. It moves seamlessly from concepts and terminology and translates them into practical and actionable ideas. All readers, no matter where they are on their diversity and inclusive journey, will find something valuable in this book. Evelina Silveira and Jill Walters have created an impressive resource that includes examples of promising practices from across the globe. This should be every HR professional’s companion! The No-Nonsense Guide to Workplace Inclusion provides a thorough and engaging roadmap of the journey toward organizational inclusion. The authors write from a position of rich, credible experience, with the result that this Guide can help companies capitalize on opportunities and skirt problems on the road to fuller inclusion of an increasingly diverse workplace. Filled with examples and evidence-based solutions, this Guide is a valuable tool for any organization working on building and strengthening its culture of inclusiveness. Managing diversity and creating inclusive workplaces can seem like a daunting challenge for many organisations, but Evelina and Jill have produced a really accessible, highly practical guide to help organisations get going. What we particularly liked was that it was packed full of real examples and illustrations and lots of useful links and tools. Because inclusion is one of the core values of the USTA, it is important for me to lead, motivate and work well with individuals of diverse backgrounds, capabilities and interests in order to achieve the outcomes we’ve set for ourselves. This book is a great resource for any organization looking to create a successful culture of inclusion. This book goes a long way in addressing the systemic discrimination faced by the LGBTQ2 community in the workplace. It tells you what you need to do and gives you the resources to do it. It makes it easy for any workplace to become more inclusive in their hiring, recruitment and retention practices. I highly recommend it for every workplace. I think this book is very comprehensive! 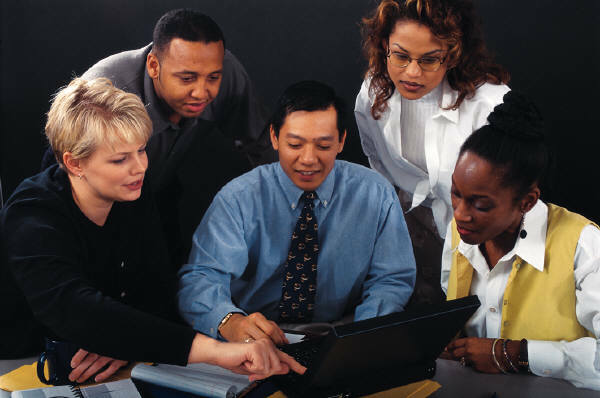 There is very valuable information from ‘Foundations for creating an Inclusive Business Environment’ to ‘Best Practices in Diversity.’ I see the value for small to medium businesses that lack a dedicated human resources professional or lack the experience with implementing policies and procedures to promote an inclusive environment; however, larger businesses can also benefit greatly from the examples, detail and strategy offered. I will continue to visit many of the resources offered in the future and have made note of some of the examples. The book is strategic, concrete and to the point. The various examples make it relevant to readers and practical. I also like the fact it is rooted in personal experiences and takes a holistic approach. The book makes one reflect on what is not obvious, helps avoid assumptions and discusses unconscious bias. While splitting the check, B.Y.O.B, potlucks, and eating leftovers from the catered luncheon are routine in a Canadian workplace; by far this experience is not an international phenomenon. While you may think your welcoming, kind gesture to “break bread” with a New Canadian co-worker is a good idea, don’t be surprised if they have a different interpretation. Food and eating can be a highly political affair. Political? Indeed – political! Let’s take a look at one of our most popular epicurean rituals which has stood the test of time. Why do we have potlucks in Canadian society? 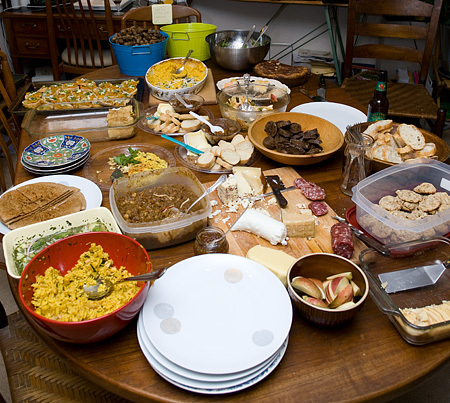 Potlucks offer an inexpensive, easy way to feed large groups of people, while providing an assortment of food the guests may have never sampled. It’s about sharing: food, workload, and preparation. What are the beliefs that sustain potlucks in Canadian society? Cooking is a chore and not many people like it and especially when it involves trying to please a number of people whose preferences are unknown. If you want to have a gathering everyone should be “pitching in” financially and effort-wise. Food and entertaining is expensive and it shouldn’t be up to one person to do all of the work. It’s more fun if we all help out and we can share the joy and responsibility. Hospitality doesn’t need to be formal. You can still be hospitable and casual at the same time. Everyone can be a host. It doesn’t take a lot of skill, effort or rules. How might these beliefs clash with people who are coming from countries which are more hierarchical, formal and collectivist? In a big way! Although the price of food has increased dramatically, it is still widely accessible and affordable by comparison to other parts of the world. We don’t have a lot of rituals around eating except for “eating on the run”, “fast food” and “Tim Horton’s”. With a growing acceptance of vegetarian and veganism what we eat these days is less based on social stratification and more inclined to be on preference. North Americans tend to view food in a “profane” way as the famous sociologist Emile Durkheim would probably conclude. Food is ordinary and nothing special, has no associated rituals or beliefs to preserve its “sacredness”. This would be in sharp contrast to the many New Canadians who are more likely to view food as “sacred”. They may have grown up learning how to cook with recipes passed down from the generations, or associate foods with symbolism and rich meaning and a wider array of festivals and celebrations. Some foods may be used for medicines or spiritual healing or to bring good luck or fertility. The “sacredness” of food means the act of eating is a“sanctified ritual”. For example, Jews and Muslims will refrain from eating pork products and the meat they eat must conform to “kosher” or “halal” standards. It means that the animals are slaughtered in a religiously prescribed way to enhance the sacredness of the food and thus the sanctity of eating. Hospitality is a lost art in North America. If you have ever shared a meal for instance with an Afghan, a Portuguese, or an Arab family – the hospitality cannot be compared. You will be treated like royalty and no effort or expense will be spared. The goal is not to make the experience easy for the host, but just the opposite. By contrast, the host wants to show you how much you mean to them by going through lots of trouble and expense. You will not feel obliged to do the dishes nor would they want you to. They want you to relax and have them entertain you. You may actually feel that they have enlisted their whole family to make you feel comfortable. The experience is formal and every action is intentional. Good hosting skills lead to many benefits including: new jobs, connections, elevated status, marriage proposals, a strengthened ability to negotiate, but most of all preserving or enhancing one’s reputation. Are potlucks a good idea in a North American workplace? It all depends. If you want to celebrate or show appreciation for a job well done you may come across as a cheap manager or employer – an insult to your New Canadian workers. Showing appreciation and respect for employees and especially those from more formalized cultures requires: a demonstration of effort; some expense and conveying their importance in the workplace which is not a bad approach to take with all of your employees. Is it? meetings that host a wide range of guests from different cultures, religions and abilities. It was the same old same old. Someone reading this article may have thought that they had all of the information they needed to make their next event a success — but they didn’t. No doubt, the business world is more complicated these days. It can be very intimidating, especially if you feel forced into thinking outside the box for the first time. just a regular way of doing business. 1. CROSS-CHECK THE PROPOSED DATE OF YOUR MEETING. Does it coincide with any religious or cultural events? Are the dates of your meetings scheduled on days when children are off from school? Tip: Keep a religious/ cultural calendar handy along with elementary school calendars. Ask participants well before the meeting to place their accommodation requests in by a certain date. 3. CHOOSE AN ACCESSIBLE LOCATION. Your venue should be equipped with ramps, elevators, accessible bathrooms etc. However, you will also want to consider having your event or meeting in an area that is easily accessible by public transportation. 4. CHOOSE A CATERER/MENU PLANNING. Depending on your group of participants you may want to consider halal or kosher catering if you know that you will be having Jewish or Muslim guests. If in doubt always ensure that you have lots of vegetarian options. Sit down meals are best if you are expecting guests with mobility challenges. If you choose to have a buffet, assign a volunteer to assist the participant with getting their meal. 5. IF POSSIBLE PROVIDE MEETING MATERIALS IN ADVANCE. By doing so, you give participants an opportunity to ask any questions, obtain translations if required or just give them more time to absorb the information if they have challenges with reading comprehension. 6. PROVIDE CLEAR SIGNAGE AND NAME TAGS AND MATERIALS. Use large print contrasting colour signs and high contrast name tags. Each participant should have a name tag if there is a new member to the meeting. Consider the above with your PowerPoint presentations and handouts. Opt for a larger font size like 18 and fonts like Verdana and Arial that are sans serif. Ensure that your promotional materials indicate a scent-free environment. If you are planning to use balloons , choose a non-latex brand. Food allergies should be taken care of early on in the planning stages when you invite requests for accommodations. Remember to indicate any changes in topic, break times and adjournments. Whenever possible, try to stay on schedule as some of your guests may have medical issues that they need to take care of during a break at a certain time. 9. KEEP ISSUES ABOVE BOARD. While it is nice to get support for your position, trying to create a lobby group outside of the meeting spells exclusion. As a practice, strive to keep all related discussions within the meeting to avoid some members having an unfair advantage over others. While it is sometimes difficult to do, challenge participants who are trying to “pull rank in the room”. Remind meeting participants of simple rules like speaking one at a time, attentive listening, respect for different opinions and for confidentiality. While these suggestions may not seem like a lot, by following these tips you will have opened the door to many more people to participate and enjoy your event more freely. Creating inclusive events requires us to put ourselves in the shoes of many other people and look at the barriers that might be present and seek solutions. Is Your Team Building Inclusive? 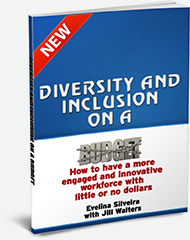 By: Evelina Silveira, President, Diversity at Work in London Inc, author of Diversity and Inclusion on a Budget: How to have a more engaged and innovative workforce with little or no dollars. Imagine. What would it be like to be escorted into an auditorium en masse to spend endless hours listening to speeches from your leader? Maybe the leader is feared or respected. The theme of his/her talks emphasize the importance of collaboration, discipline and commitment to collective values. You have no choice but to attend or you might be penalized in some shape or form. For many people who were raised in communist countries they have had these experiences of attending mandatory events to demonstrate their solidarity with the mission and values of the State. They were given updates on the progress that had been made, the work that still needed to be done, and what they could do as a group to advance the State goals. Could any comparisons be made to our Western-style of team building? You might say that it is not possible: How can you make the comparison? While not all leaders are feared nor are the penalties for not buying-in so harsh, there are definitely consequences if you don’t “tow the Party line”. I have been told by many people who grew up in communist countries, that aspects of our North American team building remind them of some of the unpleasant experiences of their country of origin where there was little opportunity for individual expression. The retreats or games, border on superficial and stressful because of the endless amount of small talk in a culture that still seems new. Team building is challenged if you have people in your group who feel that this is yet another exercise in “group think”. Rock climbing, boot camps, bowling and a whole load of other physical activities that may be on the list for team building. I recall one of my workshop participants telling me that her husband dreaded their annual team building event because it involved all kinds of physical competitions and he used a wheelchair. The company never considered his feelings or tried to figure out a way that he could participate. You cannot build a team by excluding some of its members. What about events that involve drinking alcohol and partying? I once had a client who confessed that now that his team was comprised of more women, people of other faiths and cultures, he was not so sure that the yearly drinking and partying fest in Las Vegas would be such a great reward for everyone! I had to agree. I encouraged him to look at other ways to build his team and consider more inclusive rewards programs like gift cards, cleaning services, and a monetary bonus. Do you feel like playing Ker Plunk on a Friday afternoon to build a stronger team? Or does playing video games sound like a better idea? With four generation working together for the first time, we need to choose activities that everyone will enjoy or be willing to try. Team building organizers must consider: cultural perceptions, accessibility, gender, religious obligations, and generational differences. It is not a single event each year but must be cultivated on a daily basis. One of the easiest ways to build an inclusive team is to ask the individual members for feedback and ideas. Be prepared to implement them and show the progress of their ideas along the way. Do you find yourself engulfed in a monologue that doesn’t seem to end, hoping that your staff will say something? Staff meetings can be an effective and powerful way to: communicate information; gain new ideas; and increase morale. They don’t have to be painful and the sooner you can turn the focus from “me” into “we” the better. Let’s take a look at a few ideas that will help make things easier for your participants to communicate with one another and with you. 1. Timing is everything. Your participants need to be available. Family time is important so please don’t schedule meetings at times that are difficult for staff to attend, for example after work hours or before work. Remember employees have a lot of extra responsibilities these days with eldercare, childcare and more. Your staff is not going to be very happy to come to a meeting if they have to rearrange their schedule outside of office hours to come to work. Check multi-faith and school calendars to ensure that your meeting time does not present a scheduling conflict for others. Avoid scheduling meetings during peak-hours. Meeting times during a lull will be much more appreciated. 2. Provide the agenda, minutes and supplementary materials in advance. With our increasing diversity in the workplace, it is important for us to remember that some people will need more time to read materials in advance to get a background on the subjects discussed. This is especially true for those with English language barriers or with certain learning disabilities who would find it particularly difficult to read materials on the spot and then comment on them. 3. Assign a meeting buddy. 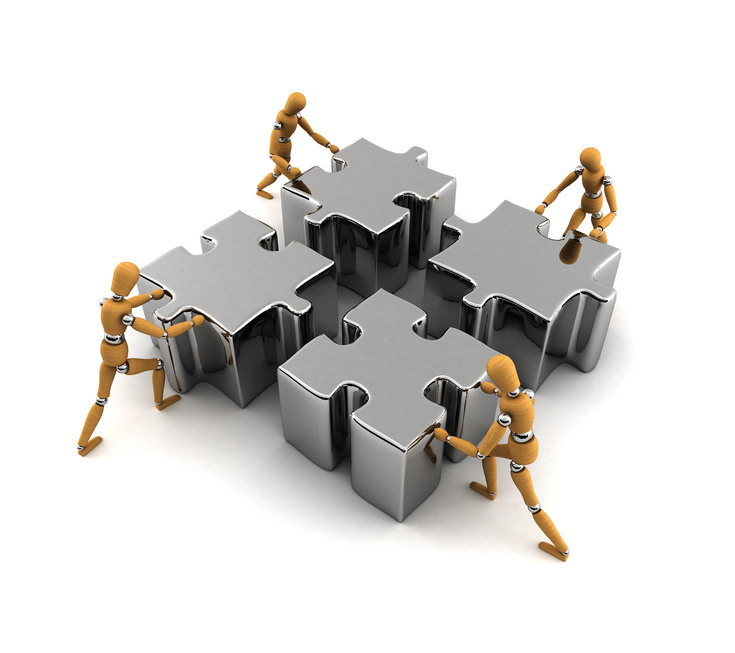 Designate one of your staff as a go-to-person to help orientate new employees to the staff meeting topics. Persons with English language barriers or those who are transferred from other departments, and new hires can really benefit from a meeting buddy. Taking this step also goes a long way in conveying the message that meetings are important and that their participation is valued. Spending even an hour before the staff person’s first meeting to give them a background on the process as well as the history/background of various topics will be very helpful. 4. Introductions. 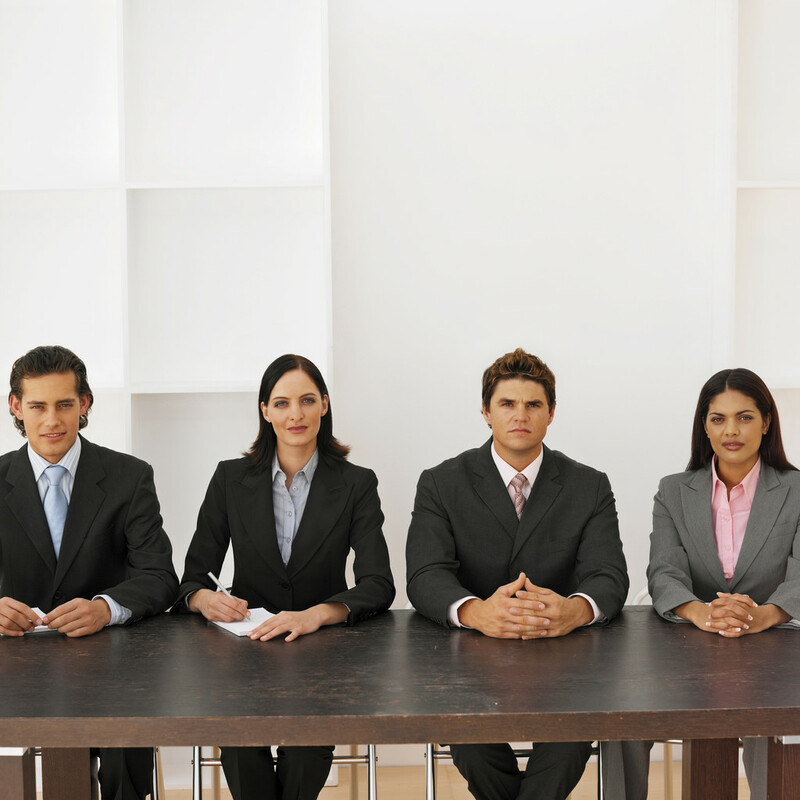 Ensure that each person gets introduced and has a name tag preferably black on white. This is especially good for people who are bad with names. Printed name tags with a good size font will also help you to identify others who may be sitting further away. You don’t need to use these all the time, but consider putting them on when you have a guest attending your meeting or when you have new staff. 5. Try something new. Add a video or case study for discussion. Use stories or quotes to inject your point. With so many possibilities these days with meeting technology and free videos, there is really no excuse anymore for dull meetings! Be creative and your staff with love you for it. By changing things around, chances are you will both see a different side of one another and that’s a good thing. Here are just a few quick and easy ways to make your workplace more inclusive. 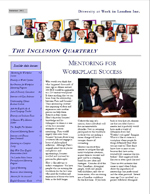 If you would like more information, please check out our other publications: The Inclusion Quarterly, and Diversity and Inclusion on a Budget: How to have a more engaged and innovative workforce for little or no dollars. Visit http://www.yourdiversityatwork.com.